As an artist who sells work online, you've got images of all aspects of your work all throughout your Gallero gallery - it's the only way to sell online, after all. But how do you prevent people from taking your images and using them without permission, or simply prnting out a copy of them and framing that instead of buying the original from you? It can be an extremely frustrating problem, and one that doesn't always have an easy solution, since to a certain extent you probably do want people to share your images to help you grow in popularity. There are a few things you can do that will minimise the problem while still giving you that viral popularity boost, so let's take a look at the more popular options. First of all, the best practice for online images of your work is carefully control the size of your output. Images on the web are displayed at 72 pixels per inch, more than enough to accurately show off your work on-screen - but if you try to print out these images, they wind up looking like pixelated junk, as printers typicall operate at 300 pixels per inch. If you constrain your image sizes to under 1000pixels, you'll get a great on-screen representation, but anyone who tries to steal your work and print it out will wind up with a 3-inch image that they can barely see properly. Another popular tactic, generally combined with the size control technique listed above is to watermark your images. A watermark is a marking of some kind placed over the image in such a way that it doesn't interfere overmuch with the appreciation of the image itself, but makes it every clear that the image has an author and that the watermarked copy of the image has been used outside of its originally intended purpose. Most watermarks consist of the artist's name and/or logomark superimposed over the centre of the image in a very light opacity, not to be confused with an image-based byline in the bottom left or right corners which can be easily cropped away. If you choose to use a watermark, make sure that you note in your Gallereo descriptions that purchased artworks do not contain the watermark. 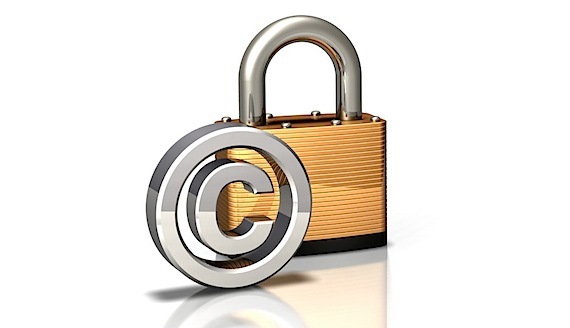 Finally, one of the most foolproof ways to ensure nobody is using your artwork online without your permission is to employ an intellectual property protection service. These companies have sophisticated software to crawl the web for examples of infringement, and scary legal teams dedicated to rooting out theft. Of course, this isn't always an option for those of us who are still in the 'starving artist' phase of our careers, but it is extremely effective. If you can't afford to use such a service, there is an alternative, although it requires some work by hand. Google has recently debuted a new type of image search that actually lets you search using images as your search terms. You upload a copy of your artwork image, and it searches the web for other instances of that image. Simply visit www.google.com/imghp to test it out for yourself!